The Bible says something different. You “will be judged by the same standard you use to judge others. The standards you use for others will be applied to you” (Matthew 7:2 God’s Word). In other words, live out love, practice justice, bear one another’s burdens and examine yourself continually. “Brothers and sisters, if a person gets trapped by wrongdoing, those of you who are spiritual should help that person turn away from doing wrong. Do it in a gentle way. At the same time watch yourself so that you also are not tempted. Help carry each other’s burdens. In this way you will follow Christ’s teachings. So if any one of you thinks you’re important when you’re really not, you’re only fooling yourself. Each of you must examine your own actions. Then you can be proud of your own accomplishments without comparing yourself to others. Assume your own responsibility” (Galatians 6:1-5 God’s Word). After all, religious institutions say, who are you to test the spirit of those around you? This lie leaves demons and false teachers freehand to infiltrate the Body of Christ and deceive the weak. The Bible clearly says, “Dear friends, don’t believe all people who say that they have the Spirit. Instead, test them. See whether the spirit they have is from God, because there are many false prophets in the world. This is how you can recognize God’s Spirit: Every person who declares that Jesus Christ has come as a human has the Spirit that is from God. But every person who doesn’t declare that Jesus Christ has come as a human has a spirit that isn’t from God. This is the spirit of the antichrist that you have heard is coming. That spirit is already in the world” (1 John 4:1-3 God’s Word). Antichrist isn’t a future-only danger. That spirit has been in the world since, well, thousands of years. So it’s your job as a follower of Jesus to “be gentle in correcting those who oppose the Good News. Maybe God will allow them to change the way they think and act and lead them to know the truth. Then they might come back to their senses and God will free them from the devil’s snare so that they can do his will” (2 Timothy 2:25-26 God’s Word). Stop evil. Test the spirits. 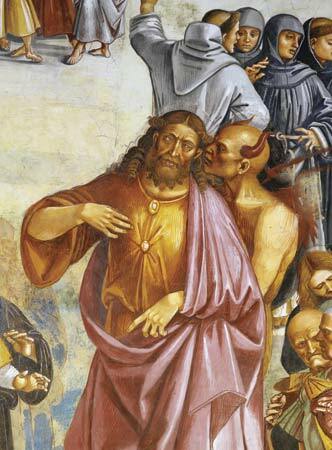 Correct those who do wrong, all the while fortifying yourself against the trickery of the devil with study, companionship with true followers and the practice of Christ-like love. And pray. For yourself. For your strong companions. For those weak in faith. For those who have chosen a life of sin. Those who oppose you. Life is a test. Are you working to pass or fail?